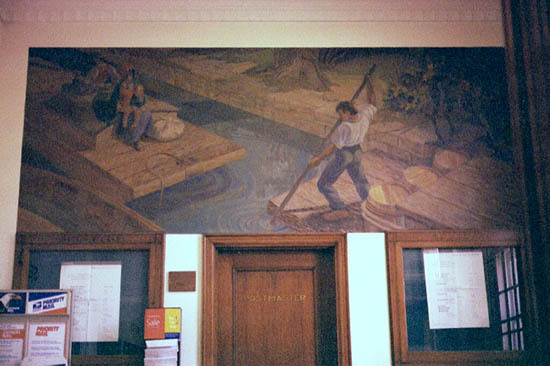 The post office in Lemont, Illinois has an oil on canvas mural in the lobby. It was done by Charles Turzak and installed in 1938. The title is: "Canal Boats" in reference to the fact that Lemont was a towpath town for the Illinois and Michigan Canal. Original cost of the mural was $620. Copyright 2001 Parva ProductionsLtd.All Rights Reserved.